Bring back your Trampoline bounce with this New & Strong "SKYTRIC" Trampoline Jumping Mat! SKYTRIC is a sister brand of Upper Bounce Trampolines, yet produce upgraded and improved trampoline parts. "SKYTRIC" Jumping Mat is especially designed to fit 8 FT. Round Trampoline Frames of all brands and models, with 48 V Rings using 5.5" Springs. SKYTRIC Trampoline Jumping Mat features ultra durability through its premium PP Mesh Material. 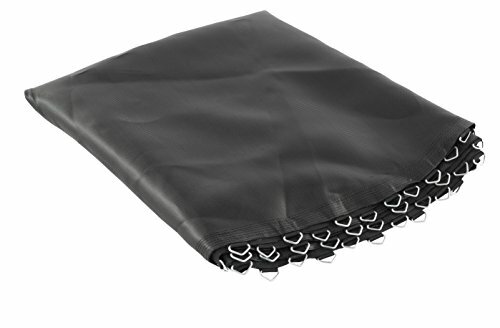 Furthermore, our Jumping Mat also provides extra security with its 8 row stitching thus guaranteeing the mat from tearing. SKYTRIC High Quality Jumping Mat is guaranteed to be UV & water resistant, offering you a safer long lasting fun investment! If you have any questions about this product by SKYTRIC, contact us by completing and submitting the form below. If you are looking for a specif part number, please include it with your message.